The Mayflower Park Hotel is the oldest continuously run hotel in downtown Seattle. Its first incarnation was as the Bergonian, which opened with 240 rooms in 1927 after $750,000 and six months of construction. 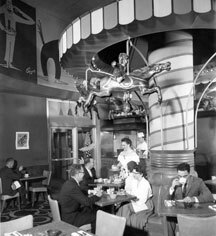 Throughout the ensuing decades what’s today known as the Mayflower Park underwent a number of owners—and changes—including the opening of Oliver’s Lounge (an on-site drug store during Prohibition) and the creation of a restaurant with carousel horses suspended from the ceiling. Birney Dempey, who currently owns the hotel with his wife Marie, formed a limited partnership, purchased the hotel and renaming the hotel the Mayflower in 1974. An extensive renovation was undertaken, including the addition of the 4th Avenue entrance and in 1988 with the opening of the neighboring Westlake Center, the Mayflower accelerated into one of Seattle’s most revered hotels. Today such details as the original terra cotta exterior, the lobby’s five-tier crystal chandelier (salvaged from the Grand Ballroom at the Olympic Hotel) and the 200-year-old grandfather clock reflect the overarching historical significance of the hotel. 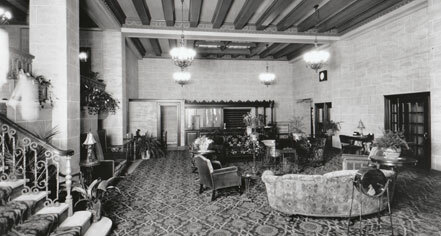 Mayflower Park Hotel, a member of Historic Hotels of America since 1999, dates back to 1927.